… category along with countries like China, Pakistan, Myanmar (Burma), Iraq and others where Christians continue to get persecutions for their faith. pro-democracy leader, Aung San Suu Kyi, has delivered its closing arguments. Aung San Suu Kyi insisted after Tuesday’s final session of her trial before Friday’s scheduled verdict that the proceedings would show “whether or not the rule of law exists in the country,” according to her lawyer Nyan Win. 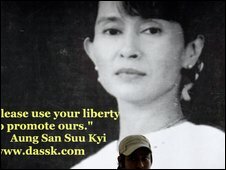 Suu Kyi made the comment to Nyan Win after the court announced a verdict would be announced on Friday. Suu Kyi is charged with breaking the terms of her house arrest order by giving refuge to an American trespasser, John Yettaw, and faces a maximum sentence of five years imprisonment if convicted. Nyan Win, who is also a spokesman of Suu Kyi’s National League for Democracy, told The Irrawaddy that his legal team had tried its best in accordance with the law. During Tuesday’s two-hour morning session, a defense plea for more witnesses to be heard was rejected by the court, Nyan Win said. Win Tin, an NLD executive leader who joined Suu Kyi supporters outside Insein Prison on Tuesday, said her two female companions and Yettaw also appeared at Tuesday’s session. Suu Kyi’s companions Khin Khin Win and Win Ma Ma also face a charge of giving unlawful refuge to Yettaw. They are represented by Hla Myo Myint. Nyan Win was one of four lawyers representing Suu Kyi at Tuesday’s session. The others were Kyi Wynn, Hla Myo Myint and Khin Htay Kywe, according to Khin Maung Swe, an NLD spokesperson. Diplomats from Japan, Singapore, Thailand and the US were allowed to attend Tuesday’s session, according to an Associated Press report. Last weekend, Suu Kyi told Nyan Win that she is unhappy with the continual delays in her trial, which she said gave the prosecution more time to prepare its final arguments. The trial began on May 18 and has been interrupted by several adjournments. The proceedings against Suu Kyi have drawn wide international condemnation. 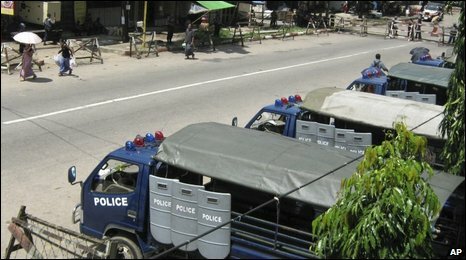 Last week, US Secretary of State Hillary Clinton and several Association of Southeast Asian Nations (Asean) foreign ministers called for the release of Suu Kyi and more than 2,100 other political prisoners during the Asean Ministerial Meeting and Asean Regional Forum at Phuket in southern Thailand. The opposition leader has spent nearly 14 of the past 20 years under house arrest. Her latest term of detention began in May 2003, when she and her supporters came under attack by junta-backed thugs while traveling in central Burma. The trial of Burma‘s pro-democracy leader Aung San Suu Kyi ended today with the judge announcing he will deliver his verdict by the end of the week. The Nobel peace prize laureate is charged with breaking the terms of her house arrest by allowing an American man to spend two nights at her home in May. She faces up to five years in prison if found guilty. Last-ditch attempts to call Nyunt Maung Shein, Burma’s former ambassador to the UN, to testify in court were rejected. Government officials and diplomats said the judge, Thaung Nyunt, had ended the trial and announced there would be a ruling on Friday. There has been little word yet on today’s proceedings. The media have been banned from the most of the trial, although diplomats from Japan, Singapore, Thailand and the US were allowed to attend today. An official told Reuters that Aung San Suu Kyi’s trial had been completed, but cases against three other defendants were continuing. 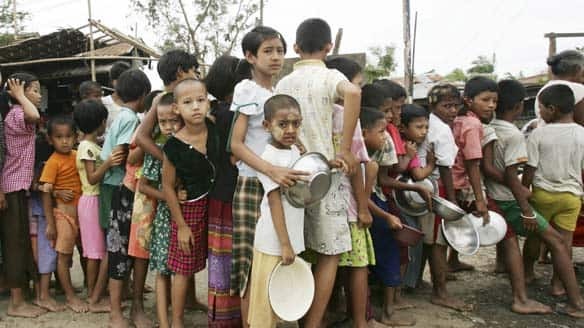 The end of the trial came as Amnesty International awarded Aung San Suu Kyi its highest accolade, the title of ambassador of conscience, for leading the democracy struggle in Burma. “Aung San Suu Kyi has remained a symbol of hope, courage and the undying defence of human rights, not only to the people of Myanmar but to people around the world,” Amnesty’s secretary general, Irene Khan, said. The rock band U2 was due to announce the award at a concert in Dublin last night. John Yettaw, a Vietnam veteran who was described by his wife as eccentric, said he swam across a lake to her home because he wanted to warn her that she was about to be assassinated by “terrorists”. Aung San Suu Kyi, who has been detained for 14 of the past 20 years, pleaded with Yettaw to leave and relented only after he claimed to be too ill to swim back. Reports said Yettaw’s lawyer was due to defend his client against charges of trespassing, which carries a sentence of up to three months in prison. Khin Maung Oo said at the weekend that he would attempt to win Yettaw, 53, a lenient sentence. “I will try my best to defend my client. I will argue that he did not violate the restriction order and I will try my utmost to get him lesser punishment,” he said. Critics have denounced the trial as an excuse by Burma’s ruling military junta to keep Aung San Suu Kyi incarcerated during national elections due next year. Her party, the National League for Democracy, won a landslide victory in elections in 1990, but the ruling generals refused to recognise the result. The junta has so far resisted international calls for her immediate release. Last week, the state-controlled media accused the US secretary of state, Hillary Clinton, of “interference” after she said a satisfactory conclusion to the trial could lead to better economic ties with Washington. 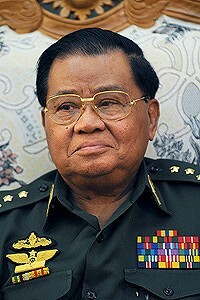 The defence does not deny that Yettaw visited Aung San Suu Kyi’s compound, but argues that she cannot be charged under laws abolished in 1988. It blames her bodyguards for failing to apprehend Yettaw, who remained undetected for several hours. The court presiding over the trial of Burma’s detained opposition leader Aung San Suu Kyi will deliver its verdict on Friday, her lawyer has said. Ms Suu Kyi faces five years in jail if she is convicted of violating the terms of her house arrest by letting a US man stay in her home uninvited. The trial had initially been expected to last a few days, but has now dragged on for more than two months. Despite widespread calls for her release, a guilty verdict is expected. Prosecutors argue that Aung San Suu Kyi must be held responsible for the midnight swim to her home by the American well-wisher John Yettaw in early May. Her lawyers have argued that the law she has been charged under is part of a constitution abolished 25 years ago. In any case, they say, she cannot be responsible for the incident as she was living under tightly-guarded house arrest at the time. Defence lawyers gave their final statements on Tuesday, in response to the prosecution’s closing arguments the day before. “The verdict will be given this coming Friday,” Aung San Suu Kyi’s lawyer Nyan Win told reporters after the session, adding that sentencing was expected on the same day. An unnamed military official also confirmed that a decision would be announced on Friday. Before the start of Tuesday’s session, Nyan Win said he held out hope for a verdict in Ms Suu Kyi’s favour. “We are confident that we will win the case if things go according to the law, he told reporters. But analysts say the Burmese junta may use this trial to make sure the popular pro-democracy leader is still in detention during elections planned for early next year. 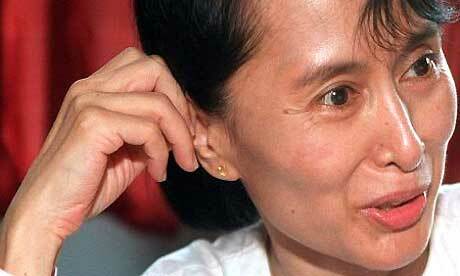 Ms Suu Kyi’s National League for Democracy won the last elections in 1988 but was never allowed to take power. The 64-year-old has spent nearly 14 of the last 20 years in detention, much of it at her Rangoon home. 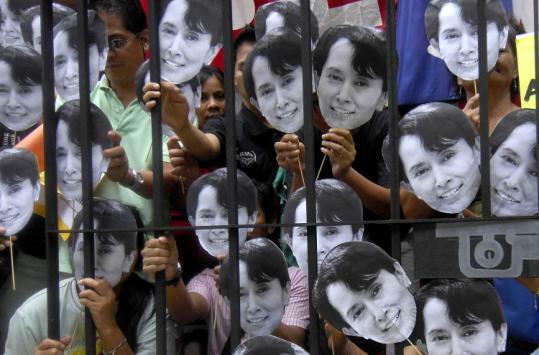 Diplomats from Japan, Singapore, Thailand and the US were allowed to attend the trial in its closing stages, in what analysts say is a sign that the government has belatedly recognised as the level of international anger at trying Ms Suu Kyi on such bizarre charges. Despite the risk of arrest, hundreds of her supporters have been rallying outside the prison where she’s being held. On Monday international human rights group Amnesty International named her as an “Ambassador of Conscience” – its highest honour – for her efforts to promote democracy. The prosecution in the military government’s trial of the Burmese pro-democracy leader, Aung San Suu Kyi, has delivered its closing arguments. 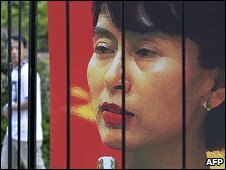 Ms Suu Kyi faces five years in prison if she is convicted of having violated her house arrest when an American man swam to her lakeside home uninvited. Her lawyers, who are scheduled to deliver a response on Tuesday, say they expect a verdict in two to three weeks. Unusually, diplomats were allowed into the court for part of Monday. Lawyers also read closing arguments for the other defendants, two of Ms Suu Kyi’s housemaids and John Yettaw, the American intruder. Ms Suu Kyi’s lawyer, Nyan Win, said a verdict could take as long as two or three weeks. “We have to give our reply tomorrow, we have to give further arguments,” he said after Monday’s hearing. The trial has been held mostly behind closed doors, but diplomats from the United States, Singapore, Australia, Japan, the Philippines and Malaysia were allowed to attend the session on Monday morning, one of the diplomats told reporters. Authorities only allowed a US consul to attend the afternoon session, because a US citizen was standing trial. Hundreds of NLD members and supporters of Ms Suu Kyi rallied outside Insein Prison where she has been held since May. 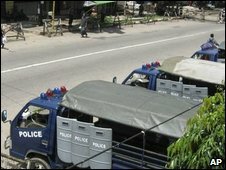 About 10 truckloads of security personnel were seen in the area. Ms Suu Kyi, 64, has spent nearly 14 of the last 20 years in detention, much of it at her Rangoon home. Polls are planned by the military government for some time next year. Ms Suu Kyi’s National League for Democracy won the last elections in 1988 but was never allowed to take power. On Monday, international human rights group Amnesty International named Ms Suu Kyi as an “Ambassador of Conscience” – its highest honour – for her efforts to promote democracy. The trial, which had been expected to wrap up in days when it started, has dragged on for more than two months. Prosecutors argue that Aung San Suu Kyi must be held responsible for the midnight swim to her home by the American well-wisher, John Yettaw, in early May. Her lawyers have argued that the law she has been charged under is part of a constitution abolished 25 years ago. In any case, they say, she cannot be responsible for the incident as she was living under tightly-guarded house arrest at the time. BBC South East Asia correspondent Jonathan Head says the fact that some defence witnesses and foreign observers have been allowed shows that the government belatedly recognised the anger stirred up around the world by trying Ms Suu Kyi on such bizarre charges. But, our correspondent adds, all the indications are that she will still be found guilty. 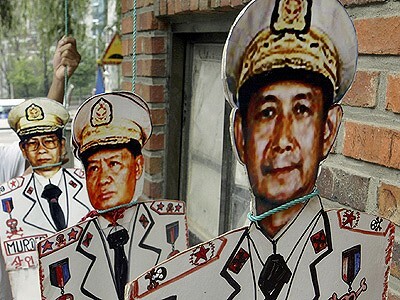 Burma’s ruling generals fear her popularity, and do not want her to play any role in next year’s election.